Learning What Your Dad Could Never Teach You. New York Times best-selling author John Eldredge unveils the six stages men must complete to become who God designed them to be. In this life-changing message from John Eldredge, readers discover a paradigm - shifting path to manhood. He unveils the six stages many men miss, stages they must complete in order to become the man God designed them to be. 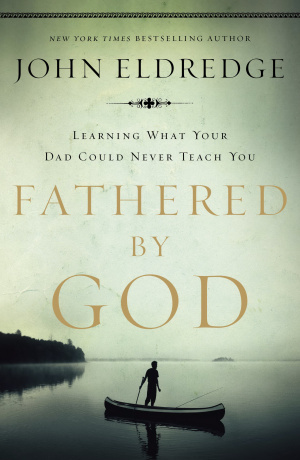 Inspiring, insightful, and challenging for men and the women in their lives, 'Fathered by God' delivers the very thing men need, a way to forge companionship with God the Father while undergoing a transformation, releasing the fullness of life and the passion God designed them to live. Fathered by God by John Eldredge was published by Thomas Nelson in March 2009 and is our 9895th best seller. The ISBN for Fathered by God is 9781400280278. Be the first to review Fathered by God! Got a question? No problem! Just click here to ask us about Fathered by God.